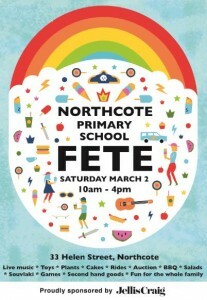 Northcote is known for its strong sense of community connectedness, and Northcote Primary School has this in spades. Strong relationships are a hallmark of our school – among students, parents, staff and within the Northcote community. At our school we celebrate the individual. Our students are highly engaged. They are motivated and happy to be here. We are proud of our consistent teaching and learning and the high standards we set for our staff and students. Educating students to lead meaningful and purposeful lives. 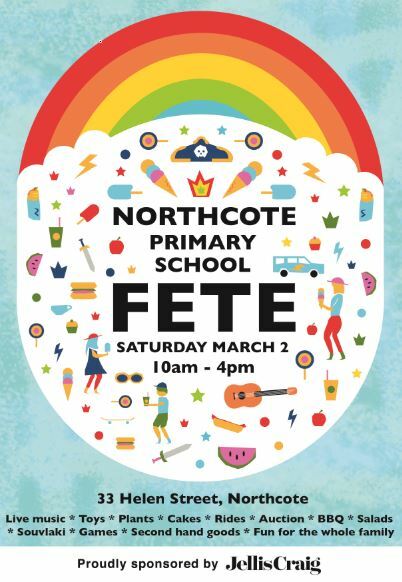 Northcote Primary School provides an enlightened and inspiring educational experience for 300-plus children, in the inner-north suburb of Northcote, 7km from Melbourne’s CBD. A strong sense of community and contemporary teaching practice and priorities help children make a positive start to life. This is a school where traditional priorities, such as literacy and numeracy, are enhanced by thinking skills curriculum, and coexist with thriving creative arts and physical activity programs. Please take the time to explore our website and discover more about the school. A huge thank you to everyone who organised, donated, volunteered and attended this years fete. What a fun day!! Order healthy lunches online. Orders must be placed before 8:30am on the day the order is required.